Our purpose is to create value by providing ad hoc services which allow us to offer investment solutions suitable for each of our customers. AISM is an independent company created in 2011, authorized to Collective and discretionary portfolio management as well as investment advisory. We are specialized in providing tailor-made solutions suitable for our clients. We are dedicated to institutions, companies and private investors, proposing an active and diversified asset management model, based on a dynamic investment policy and a careful selection of financial instruments. The management team is constantly looking for the maximization of the return/risk ratio, starting from the assumption that the volatility is constantly monitored, especially in periods of particular uncertainty of financial markets. Investment Manager of a proprietary Fund and third-party SICAV compartments. Management of individual portfolios on client’s accounts or through private insurance policies. Investment Advisor for institutional and private clients, asset allocation, structuring of complex portfolios. AISM offers a direct and effective access to every available markets in the independence regime. In the last years, AISM and its senior executives established solid relations with institutional investors, Banks, family Office and investment funds thus constituting a solid international network of customers, counterparties and partners. AISM executes his activity respecting strict criteria of deontology, regulatory compliance and risk control in the exclusive interest of its customers. AISM is completely independent from institutional subjects so investment choices are made exclusively in the interest of the client. Furthermore, AISM shareholders are also the company managers, guaranteeing professionalism and business continuity. Every client, physical or institutional, has its own exigencies and wishes. Our task is to help them to be satisfied. Equity stability, together with financial autonomy, allow AISM to have a solid foundation to last over time and adapt to market changes. We establish and maintain a solid relationship of transparency with our customers, providing detailed reports and informations on all services. In particular we keep a personal relationship with customers as an indispensable element to accurately identify their needs and ensure a high quality of service. The inspiring principle of AISM for the working environment is represented by the orientation to the person and it is based on the principle of the irreducible value of people and on the awareness of the importance that the labor has for them. CEO — Joined AISM Team in 2016 as responsible for discretionary mandate management. Graduated in « Economia e Commercio » at LUISS in Rome in 1997 110/110, he started his career the same year at IMI BANK, Luxembourg, in the Funds Accounting department. He joined Fideuram Gestions S.A. in 1999 as junior asset manager and, after having his Financial Analyst diploma (CEFA) in 2000, he worked from 2001 to 2006 as independent asset manager and financial consultant. From 2006 to 2009 he worked as senior asset manager in an Italian SIM and continued his activity as founding partner of Sofia SGR. Starting June 2016 he joins AISM as Senior portfolio manager responsible for the development of single mandates activity. With 20 years of experience he is now AISM Chairman and Partner. Partner and Manager — Joined AISM l team in 2012 in charge for the development of the italian market. Graduated in 2007 Pietro was awarded with an MBA from Università Cattolica del Sacro Cuore, Milano, with a final dissertation on: “Certificates and Structured products: comparison among different pricing models”. 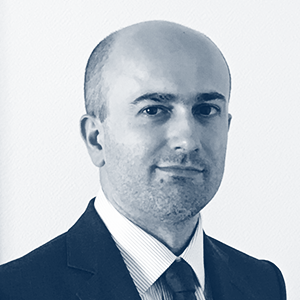 He started his career in 2007 at Société Générale, Milan, in the Listed products team, involved in listing certificates and ETFs on “Borsa Italiana”. In 2008 moved to Paris to join the Financial Engineer division and one year later is promoted Italy Country Manager for Inora Life, Insco of SG Group. In 2011 returned to Milan as Sales officer within the Cross-Asset-Solution team of SG CIB. He joined AISM in 2012 to develop the Italian market. Pietro joined AISM to develop and expand business activities with an institutional and private client base, now is partner and board member. Manager, Board Member — He is Manager and Board member of several commercial and financial companies. 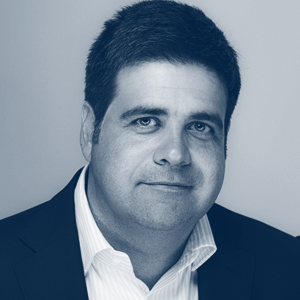 A graduate from ESSEC, Vincent Decalf started working at KPMG, then Banque Paribas before joining Société Générale (Capital markets division) in 1989. After five years as COO of SocGen in Spain, he served as Deputy CEO then CEO of SocGen Luxembourg before joining Groupe Foyer, Luxembourg’s leading insurance company, where he was Member of the Executive Committee until 2012. For 20 years, Vincent Decalf has held the qualification of Authorized Administrator of banks and asset management companies. He seats or had seated on the boards of various commercial and financial companies as well as associations and non profit organisations among which, the Luxembourg Stock Exchange, The Luxembourg Administrators Institute, the France/Luxembourg Chamber of Commerce and the Ecole française de Luxembourg. 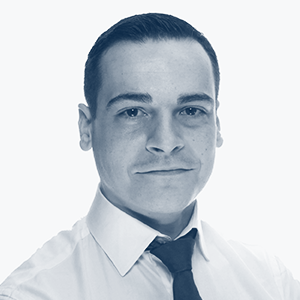 Partner — Research and development Director — Joined AISM team in 2012 responsible for the development of international markets. In 2004 Romain was awarded MBA Diploma from AUDENCIA Nantes, School of Management. He started his career in the Trading Room of Société Générale Bank, Paris office, as Financial Engineer in the Equity Derivatives Structuring Team. In 2005 he was promoted to Country Manager for both Belgium and Italy of the Inora Life Team, taking responsibility for distribution of Insurance Solutions and Equity Derivatives Structured Products. In July 2006 he joined the Socgen Trading Room in Milan, where he remained in charge of sales of Cross Asset Solutions for six years, heading the Adequity Italia Team from 2010. During 2009 Romain attended the Investment Banking Program - Executive Program at INSEAD in Fontainebleau. He joins AISM in 2012 and is promoted Head of Development in 2017. Board Member — Has a deep experience in financing activities, asset management and alternative strategies. 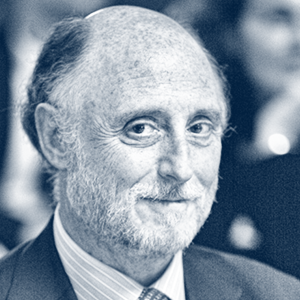 An HEC Paris Alumni (1973), Marc Henri has built a strong experience in asset management and financing. He started with Société Centrale de Banque, a Société Générale affiliate (trade and export finance). He then worked 10 years with Banque de la Société Financière Européenne (international finance and capital markets). End 1989, he joined Financière Atlas, specialized in asset management, where he became an Executive Director in 1996. Board Member — Has a great experience and knowledge of the Luxembourg Financial Center. 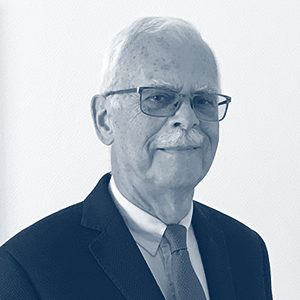 PhD in Law and graduated from lnstitut d’Etudes Politiques de Paris as well as Institut de Droit Comparé de Paris, Charles Hamer begins his career with Paribas Group where he worked for 28 years. In 1998, he was appointed Executive General Manager of Paribas Luxembourg. He joined Crédit Agricole Indosuez (Luxembourg) SA in 2000 and become, two years later, Executive Director of CAIL then of Credit Agricole Luxembourg. Charles seated on various committees of the CSSF (Commission de Surveillance du Secteur Financier) and fulfilled several functions within the ABBL (Association des Banques et Banquiers de Luxembourg): Chairman of the Promotion Commission of the Luxembourg Financial Centre, of the Private banking Group, member of the Board. He also seated on the High Committee of the Financial Centre. He retired at the end of 2010. 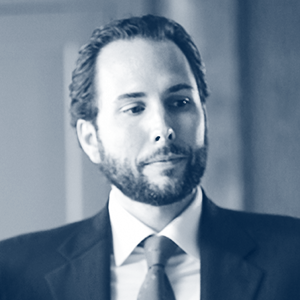 As a Director of AISM Luxembourg, Charles brings us the benefit of his professional experience and deep knowledge of the Luxembourg Financial Centre. 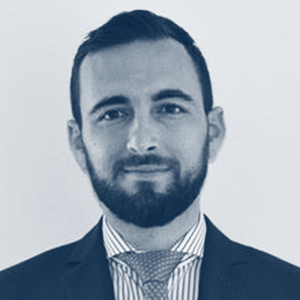 Senior Asset Manager — Joined AISM in August 2018. Graduated in Economics at University of Pavia, Italy, he's a CFA charterholder since 2006. Working in finance since 2001, during his career he developed quantitative models for asset allocation and managed funds and funds of funds at Pioneer Investments, Ireland and HNWI clients at Orion Wealth, UK covering major asset classes in a multi-asset framework. He also gained regulatory experience being approved as CF30 (customer facing) and CF11 (money laundering reporting officer) by the Financial Conduct Authority. 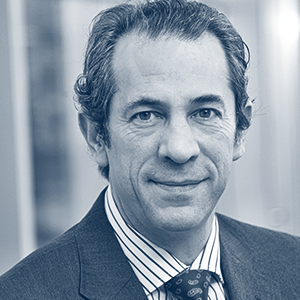 In August, Giorgio joined AISM, as Senior Asset Manager. Asset Manager — Joined AISM in 2013, he is director since 2016. Graduated from TEMA School, Reims Management School Group, in 2012, Victor started his professional life as trainee within Credit Suisse (Paris) in Middle Office, then Front Office. Following this first experience, Victor strengthened his training through a Master degree specialized in Technology & Management at Ecole Centrale Paris. He thus acquired a specific expertise in financial markets as well as new technologies, improving at the same time its capacity to anticipate and react efficiently in uncertain environments. He joined AISM fund management team in 2013. Early 2016, he becomes conducting officer and head of fund management. Responsible for the Middle & Back Office — Joined AISM in March 2018. 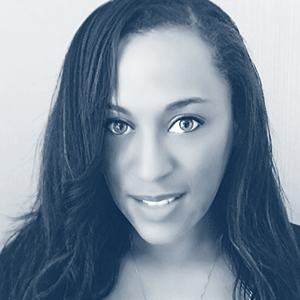 Graduated in Economics, Esther-Stéphanie has acquired a solid experience of more than 10 years in the banking and institutional environment. As Senior Consultant, her areas of expertise include different aspects of financial transactions processing from Back / Middle office to Front Office operations. She has developed expertise in Corporate and Investment Banking (Foreign exchange, NDF, Loans and deposits), the Securities Database, Corporate Actions, Income, Regulations and Pricing, process purchase, Securities and Loan deposit, corporate actions and lending (all that concerns the custody business).In order to perfect her experience, she completed the professional qualifications prince2 and lean 6sigma. She also has experience in the legal field of intellectual and industrial property and taxation and the AML / KYC, FATCA, AEOI, EMIR, UCITS surveillance and compliance regulations. In 2018, Esther-Stephanie joins AISM Luxembourg becoming Responsible for the Middle & Back Office team. Administrative and Finance Director — Joined AISM in May 2018. 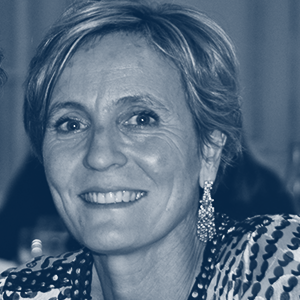 After a Master in Business & Administration at Paris IX-Dauphine, Isabelle started her career in PWC New-York, Paris and Luxembourg.In 1992, Isabelle has been appointed on a special mission in Mozambique to audit the railways and ports in Maputo and Beira. In Luxembourg, she mostly audited Investments Funds, and European institutions. In 1997, Isabelle joined Barilla Holding S.p.A where she was in charge of finance and administration. In Milan and Monaco, Isabelle managed several projects in Education, Digital and Scientific Research, launched by the Monaco Business Women's Association. She has been treasurer and co-founder of Cordons de Vie, an Association dedicated to Fundraising for scientific projects related to cord stem cell research. Back in Luxembourg, Isabelle worked as an Ambassador of the Fondamental foundation highlighting local opportunities, developing partnerships and fundraising. This foundation based in Paris and Geneva promotes personalized treatment of mental disorders and particularly Autism. In May 2018 she joined AISM as Administrative and Finance Director.